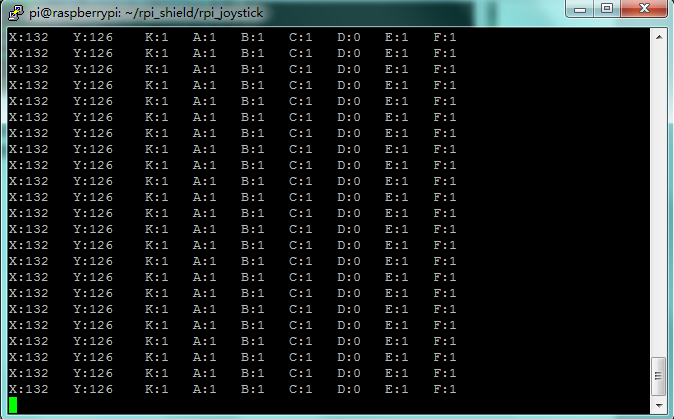 Welcome to the wonderful world of joystick control. 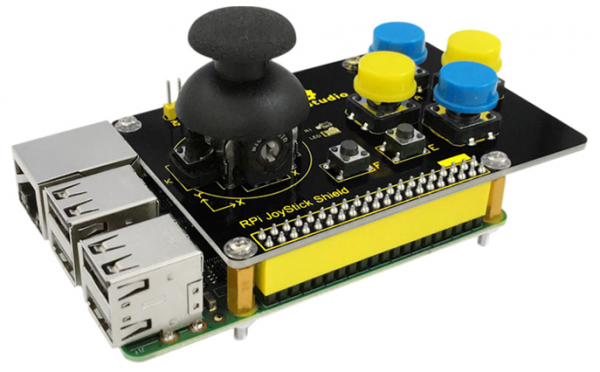 Adding a joystick to your Raspberry Pi opens a lot of new doors. You can now use the Raspberry Pi and the joystick to control a robot, a camera, play games or do whatever you want. The joystick shield provides two simple analog inputs and one analog output along with four separate buttons, one thumb joystick and two little buttons. We will provide installation package, source code and quickstart guide PDF. We will teach you step by step, so don’t worry! Directly plug it into the pi and max it with copper pillar and screws as shown in below figure. 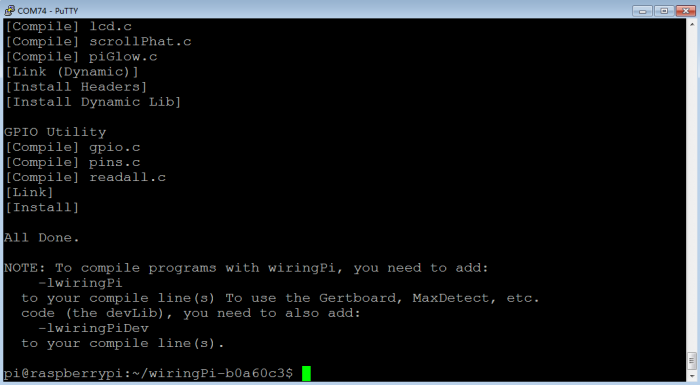 Wiring Pi is a library. WiringPi supports analog reading and writing, and while there is no native analog hardware on a Pi by default, modules are provided so other A/D and D/A devices can be implemented relatively easily. Note that the actual file name will be different (may not be 98bcb20) – you will have to check the name and adjust accordingly. 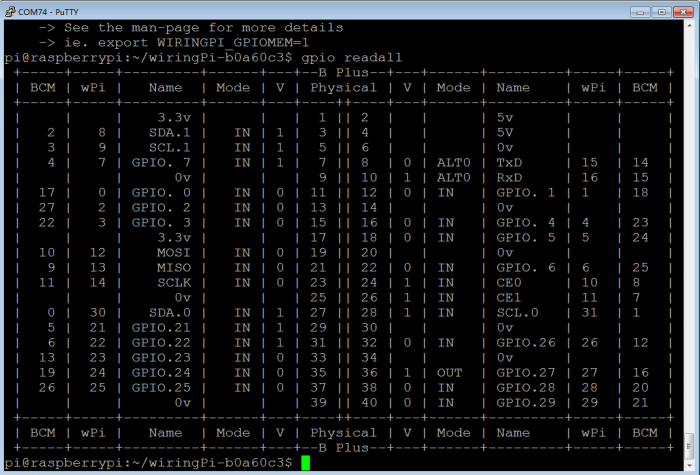 Here is the interface after installing WiringPi as shown in below figure. The interface as shown in below figure means complete installation. The I2C bus allows multiple devices to be connected to your Raspberry Pi. Before using I2C it needs to be configured. When you next reboot the I2C module will be loaded. 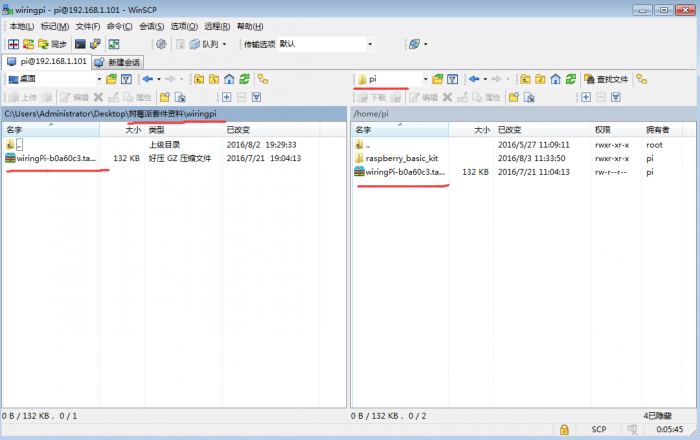 Copy the file rpi_joystick provided by us and put it into your pi directory through winSCP. 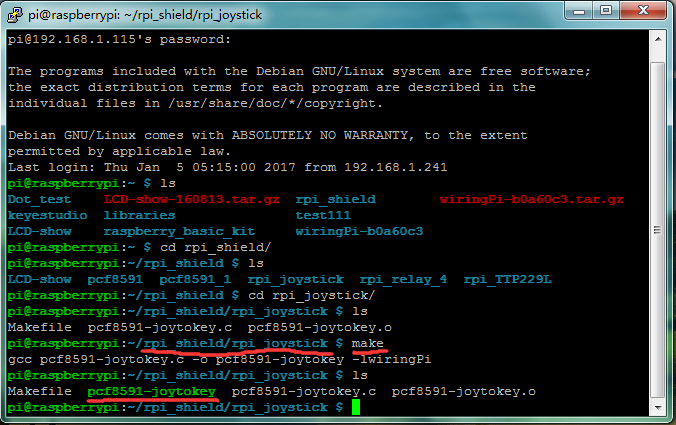 Next, type this command: cd rpi_joystick to go inside the rpi_joystick folder. Then type this command: make to make an executable file pcf8591-joytokey as shown in below figure. This means this is the file we run to launch the program. Finally type this: sudo ./pcf8591-joytokey to launch the program. Press the thumb joystick and buttons, and values are printed on the terminal as shown in below figure. Then use Ctrl+C to quit the program. This page was last edited on 19 April 2019, at 10:32.